This solar radiation surface shows the areas (in red) that get the most annual radiation and areas (in blue) that get the least. The graph shows the annual solar radiation potential for a year. ArcGIS Server 9.3 continues the tradition set in previous releases of providing a complete, interoperable, and integrated server-based GIS that comes with out-of-the-box, end-user applications and services for spatial data management, visualization, and spatial analysis. The ArcGIS 9.3 release is both a quality and enhancement release for ArcGIS Server. It is faster, has better documentation for developers and administrators, and includes new features. The highlights of the ArcGIS Server 9.3 release are described below. ArcGIS Server 9.3 has new tools to facilitate map cache management. ArcGIS Server users can now publish a map service with incomplete map caches, rather than having to build a full map cache. Users can selectively build map caches for the areas that are the most popular and enable on-demand caching (a new property of map services) to let the map cache grow as end users access the map service. This new workflow will help users get their maps published more quickly. The ArcGIS Server Web Application Developer Framework (ADF) provides a comprehensive framework for the creation of fully functional GIS Web applications with Java and .NET. In ArcGIS Server 9.3, the Web controls have been optimized at many different levels, resulting in significant overall performance improvements. In addition, a new print task has been added. Both .NET and Java developers will find major improvements in the Web ADF. The .NET Web ADF now leverages full Microsoft AJAX support, allowing developers to follow standard AJAX coding patterns. Java developers will benefit from a tighter integration with Eclipse and NetBeans through plug-ins to these integrated development environments (IDEs). Developers will also benefit from improved documentation. 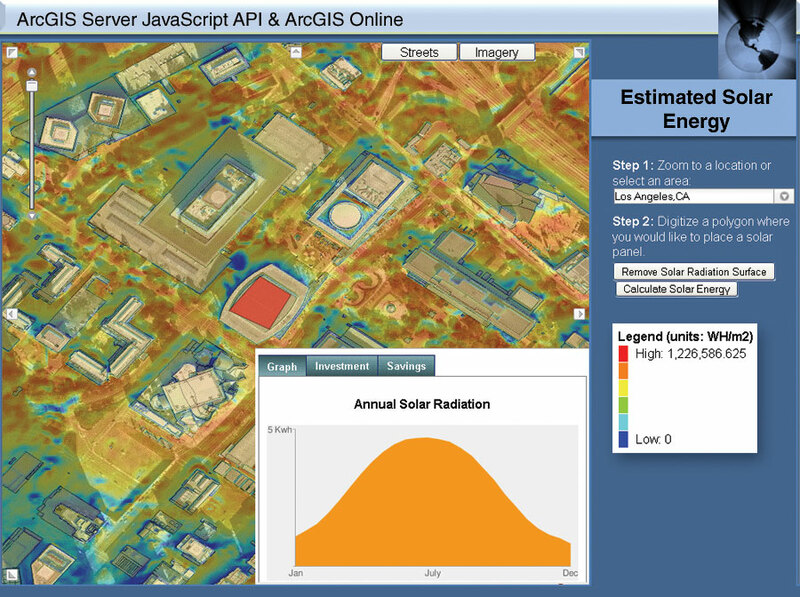 In addition to the new SOAP API software developer kit (SDK), many more developer samples and conceptual documentation have been added and will be made available online via the ArcGIS Server Resource Center. The new ArcGIS Mobile application, which is included with ArcGIS Server 9.3 Advanced, is configurable out of the box via ArcGIS Server Manager. This application improves efficiency and productivity of mobile field personnel by increasing data accuracy and enabling real-time decision making in the field. This is done via wireless network access to GIS data and the use of GPS to capture critical geographic information. The mobile application is ideal for customers looking to rapidly deploy mobile GIS without needing to develop their own solution. 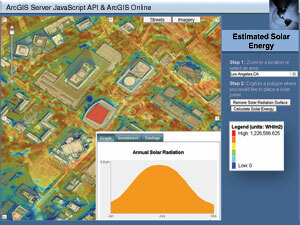 Esri has also made improvements to the ArcGIS Mobile SDK at 9.3. These improvements include enhanced map control rendering to support multiple data sources and graphic layers, improved data storage capabilities with support for large compressed basemaps, and expanded projections for non-grid-based ArcGIS projections. At ArcGIS 9.3, enterprise ArcSDE technology in ArcGIS Server Enterprise is available for PostgreSQL, a very popular open source database management system (DBMS). The complete geodatabase data model is supported, and vector geometry can be stored in two formats: Esri's spatial type and PostGIS (an open source spatial type). Esri is continuing its commitment to use open source software where it provides a benefit to customers. Support will also be available for SQL Server 2008 and its two new spatial types: Geography and Geometry. 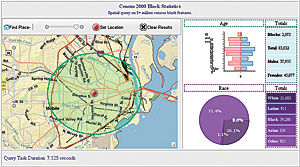 These spatial types enable users to perform SQL queries and operations on spatial data within SQL Server 2008 directly. Full certification for SQL Server 2008 will occur in an ArcGIS 9.3 service pack, because SQL Server 2008 will not be finalized until the third quarter of 2008. ArcGIS 9.3 clients will have backward direct connect compatibility with ArcSDE 9.2, 9.1, and 9.0 geodatabases. This new direct connect functionality will make ArcGIS software upgrades easier for large enterprise users with enterprise geodatabases by giving them more flexibility to perform a scaled migration. ArcGIS Image Server, which until now was sold as a separate product, will become an ArcGIS Server extension. ArcGIS Image Server makes it possible to take raw imagery and immediately make it available as a Web service. The extension performs image processing on the server at the time of request, bypassing the costly image processing work that has traditionally been performed in the workstation environment. Data access and processing are highly optimized, making the time from request to image display nearly instantaneous. These capabilities dramatically shorten the time between image capture and making imagery available to end users (see "Esri Enterprise Image Management System"). The new ArcGIS Server Schematics extension allows the consolidation of numerous diagrams of varying styles and extents into a single Web service, eliminating the need to publish each diagram separately. End users can display specific diagrams, as well as generate and update diagrams. 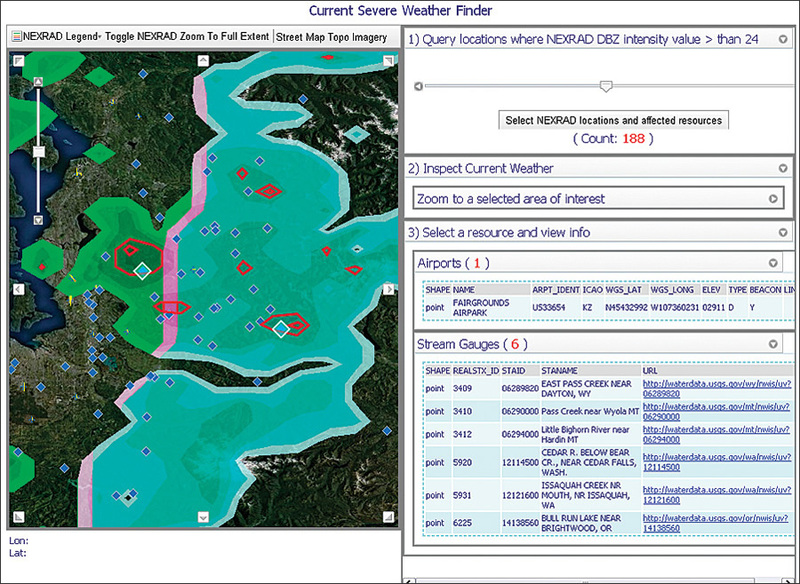 With the new ArcGIS Server Geostatistical Analyst extension, geostatistical layers created in ArcGIS Desktop can be published as Web services, giving Web application users powerful tools for data and surface exploration (e.g., interpolating the possible flow and direction of radiation, air pollution, or biohazard release or predicting optimal conditions for reliable crop production). While the extension does not include the ArcGIS Desktop Geostatistical Wizard or Exploratory Spatial Data Analysis tools, all the tools in the Geostatistical Analyst toolbox are available in ArcGIS Server. Custom Web applications powered by ArcGIS Server allow non-GIS users to easily perform complicated spatial analyses. 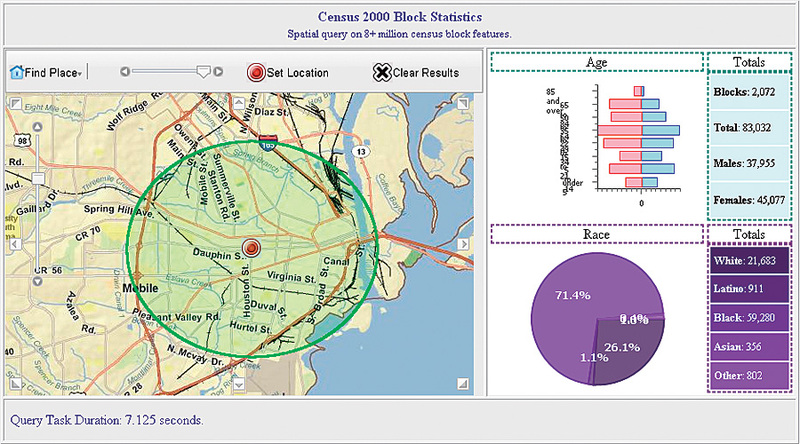 In this example, end users can query and visualize U.S. Census 2000 block statistics by simply choosing a search radius via the slider bar, then clicking on the map. In addition to the newly supported databases and the tight integration with Microsoft Virtual Earth and Google Maps API described above, Esri has improved the interoperability of ArcGIS Server core services. This has been accomplished through better Open Geospatial Consortium, Inc. (OGC), support (refer to "ArcGIS Server 9.3 Offers New and Enhanced Support for OGC Standards"), a new option to REST enable ArcGIS Server services, and stronger KML compatibility (including KML 2.2). ArcGIS Server Manager is used to administer ArcGIS Server services and applications. Out-of-the-box tools have been added to apply role-based security to services and applications. Also, ArcGIS Server Manager is now better integrated with both ArcGIS Mobile and Image Server. Users can now deploy GIS into the field by simply creating mobile projects within ArcGIS Server Manager. Users can also now register Image Server instances. At 9.3, there is an improved Server Activity Log. The log makes it easier to track down problems occurring on a GIS server by allowing the user to turn on more detailed messaging when necessary. For each type of service, the log file will record additional information to help troubleshoot a problem. For example, a map service will write information to the log file that indicates whether each layer was drawn successfully. With the release of ArcGIS 9.3, Esri is making publicly available the ArcGIS Server Resource Center. This new Web site provides access to online data, help, sample applications, forums, blogs, and code galleries. Here, GIS administrators and developers will find the information they need to be successful with ArcGIS Server. 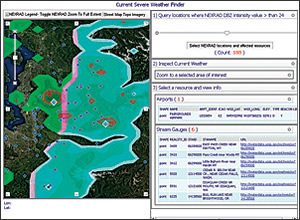 For more information about what's coming in ArcGIS Server 9.3, as well as in the rest of the ArcGIS family of products, visit www.esri.com/whatsnew.